Overlooking Melbourne's skyline and just over the West Gate Bridge, Scienceworks is located only 5 kilometres from Melbourne's CBD and offers an on-site car park. 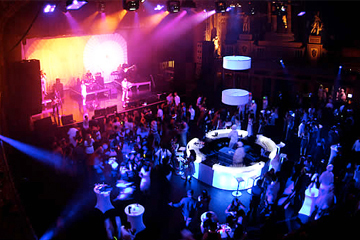 Whether it is a corporate family day, cocktail reception, wedding ceremony or anything in between, Scienceworks have the facilities and flexibility to guarantee every guest has an unforgettable experience. 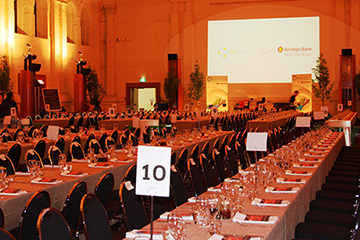 Our unique venue spaces include; the Helen R. Quinn Energy Lab, Lightning Room, Main Exhibition Gallery, Melbourne Planetarium, Pumping Station, and the Scienceworks Arena. Overlooking Melbourne's skyline, the West Gate Bridge and the iconic Yarra River, Scienceworks is the perfect venue for the contemporary bride and groom. From lavish wedding receptions to intimate post wedding ceremony canapés and beverages, all your catering needs are accommodated. With your special day in the expert hands of our dedicated event planners, every detail is taken care of leaving you to enjoy your magical day. Unleash your inner child and experience an array of interactive displays in Sportsworks or immerse yourself in the splendour of the historic Spotswood Pumping Station. Visit the stars and beyond and go on an amazing journey of the universe in the Melbourne Planetarium. White Card Food & Events offer a flexible and stylish range of menu options to delight the senses of you and your guests.